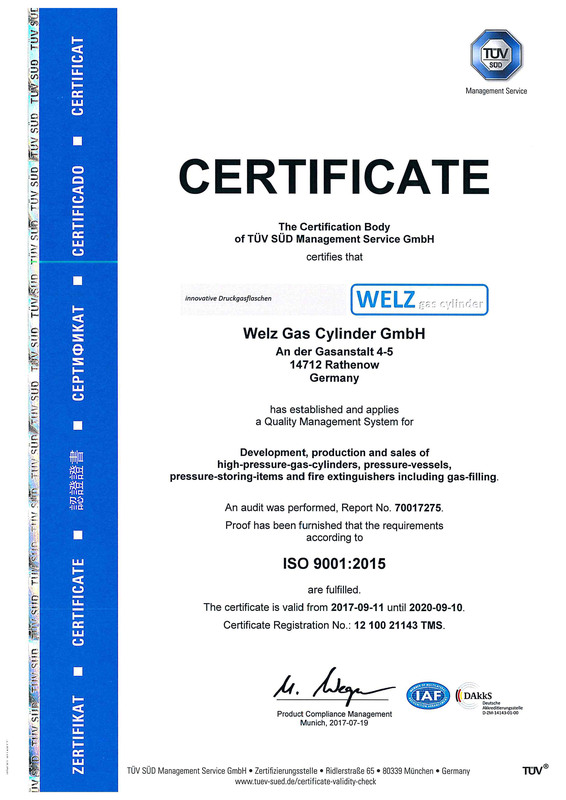 The Welz Gas Cylinder GmbH is registered as “Inhous inspection service” according to EU Directive 2010/35 and ADR. 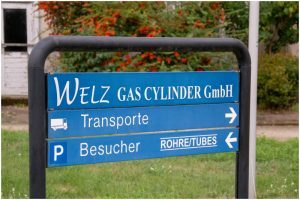 Which are manufactured by us and tested compressed gas cylinders with “π” labeled and are therefore suitable for transport and operation in the EU and all countries that recognize the ADR, is authorized. The basis for these approvals is also our quality management according to DIN EN ISO 9001 certified. 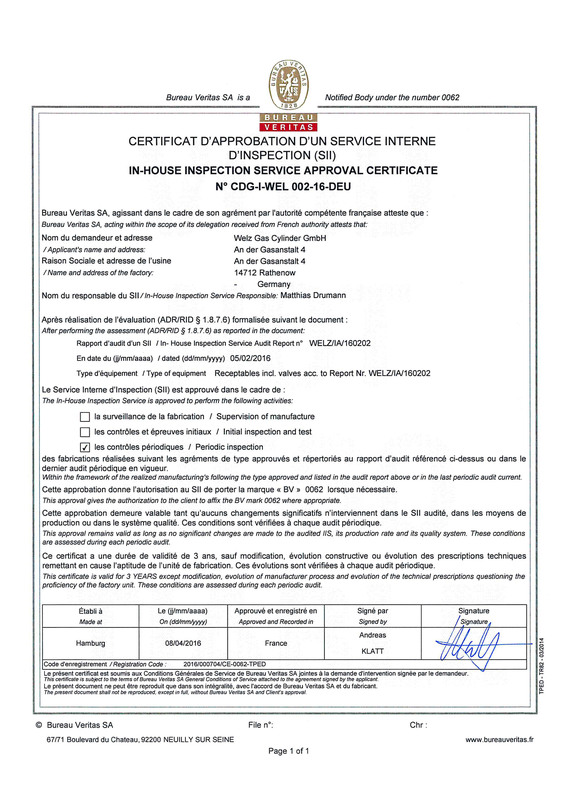 These approvals are constantly qualified with internal and external audits to safe our customers the same high quality of our products all the time.